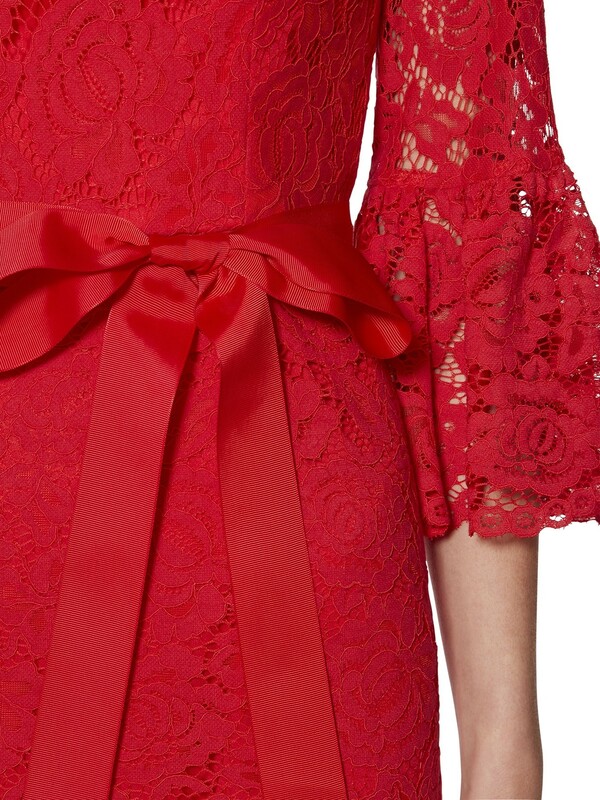 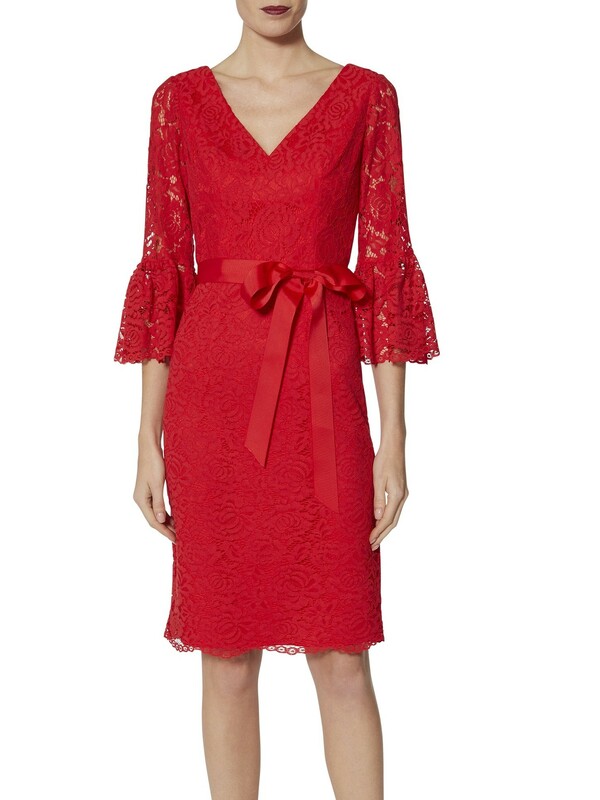 Look gorgeous in this stunning all over red lace design dress. 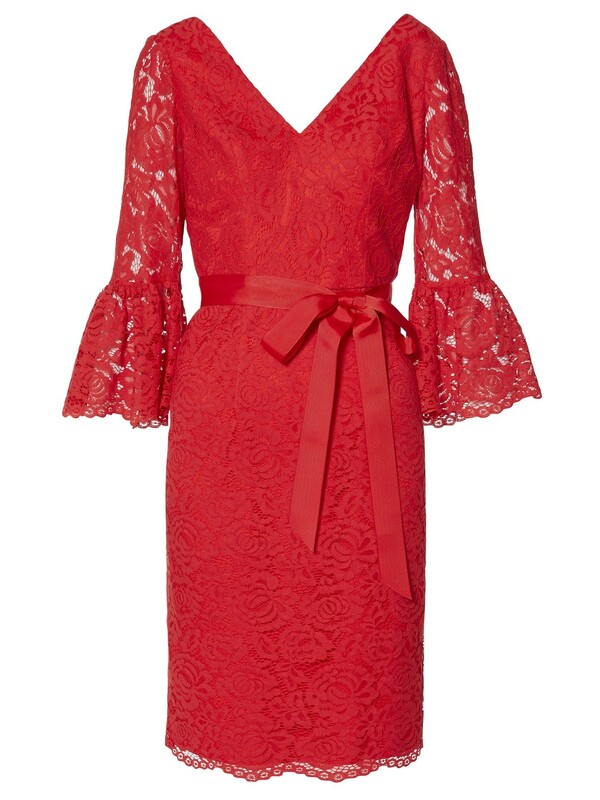 It features deep v cut neck to front and back for sultry edge, sheer bell style 3/4 sleeves, ribbon style belt to waist making it ultra feminine and a delicate scalloped hem. 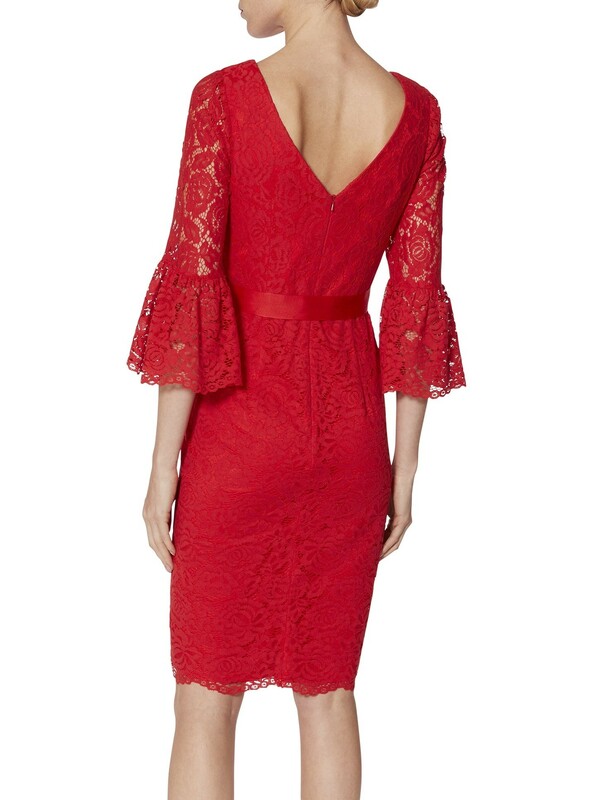 The dress fastens with concealed back zip.